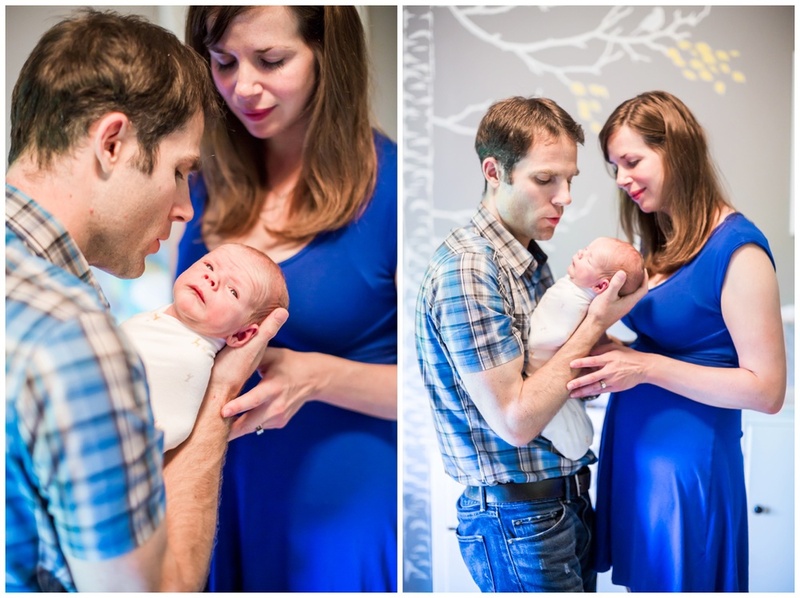 This sweet little boy did not want to be away from his Mom & Dad for even a second during our session. 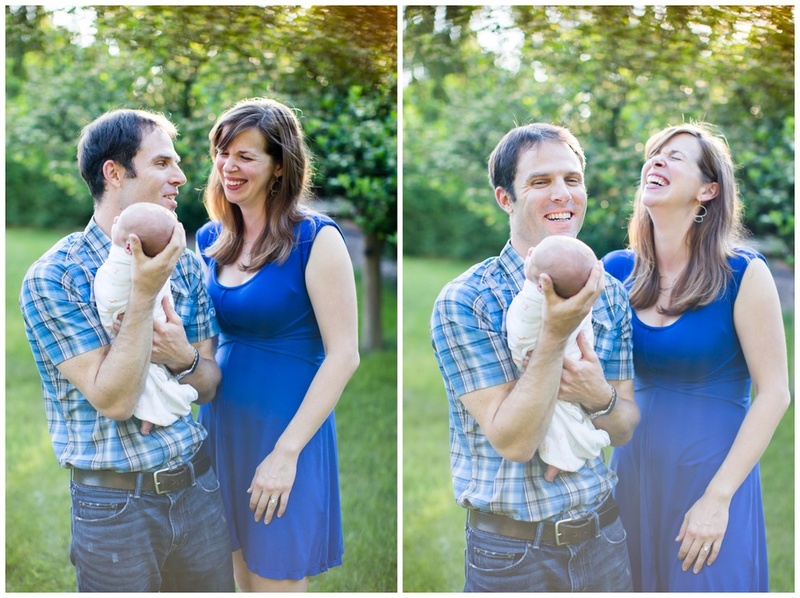 As a lifestyle newborn photographer that was just fine with me! I was warmly welcomed in the the Suter Family home here in Fort Collins by Jordan, Meghan, and their friendly-family dog. These first few weeks being a new family are so special, and I was delighted to capture some sweet moments between Reid and his family - human, canine & feline alike. The Suters wanted to be surprised with their baby, and welcomed him home in to this beautiful gender-neutral nursery. I love the yellow and grey nursery color palette. It is so soft and inviting. Thank you both for choosing me to be your newborn photographer, to share in these memories, and capture them. Congratulations again!